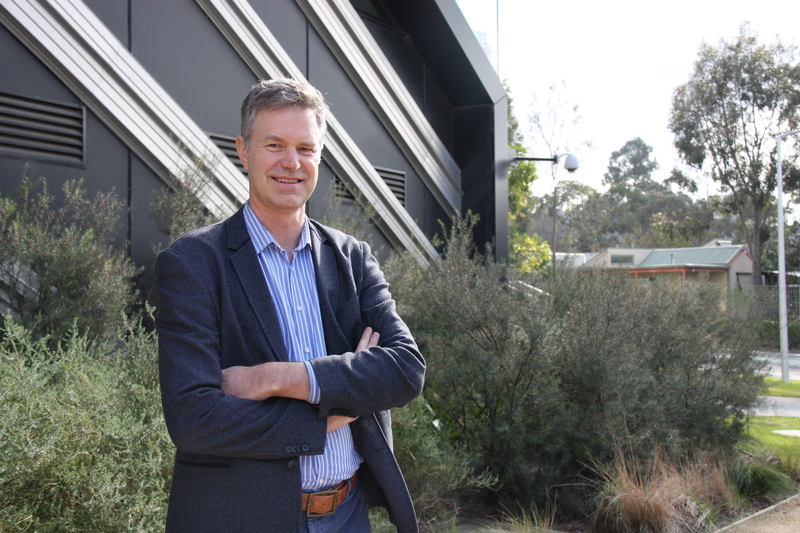 CSIRO has today announced Dr Rob Grenfell as its new Director of Health and Biosecurity. Dr Grenfell joins CSIRO from healthcare provider Bupa where he held the role of National Medical Director for Australia and New Zealand. Dr Grenfell will lead CSIRO’s Health and Biosecurity group which spans public health, animal health, environmental health, and biosecurity. He will also be responsible for CSIRO’s broader health strategy which will address the critical health challenges facing Australia drawing on the organisation’s deep portfolio of expertise across e-health, biomedical manufacturing, nutrition, and One Health (linking human, animal and environmental health). Dr Grenfell is tasked with growing CSIRO’s health impact through forging strong partnerships with government, industry, and the wider medical R&D community leveraging CSIRO’s unique capabilities for the benefit of all Australians. Dr Larry Marshall, CSIRO Chief Executive, said CSIRO’s purpose is to use science to solve the greatest challenges facing our nation. "Few challenges are more important than keeping our people healthy through an effective health system in the face of changing demographics, growing costs, new disease pressures, digital disruption, and increasing societal expectations," Dr Marshall said. "Rob joins an impressive leadership team who have already saved lives with data, reduced diabetes and obesity through diet, and developed vaccines for chronic diseases. 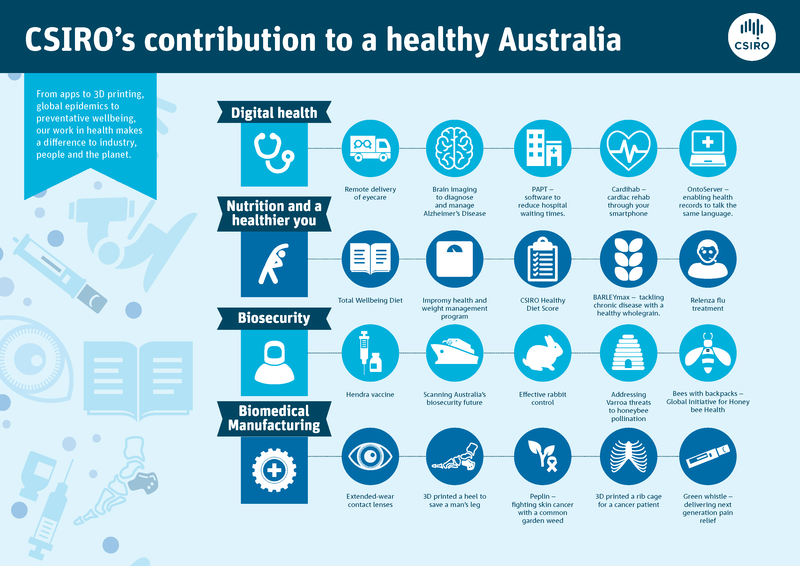 "Through deep collaboration with our leading universities, CSIRO’s One Health approach will address the biggest health challenges facing Australia, building a powerhouse of health innovation," he said. Dr Grenfell, a qualified Public Health Physician and GP, brings almost 30 years of public and private sector experience to the role. At Bupa he was responsible for clinical quality, leading Bupa’s Reconciliation Action Plan, clinical contribution in new ways of working as part of Bupa's Digital Innovation Lab, and evaluating and incorporating new technologies into health services. Prior to Bupa Dr Grenfell was the National Director Cardiovascular Health for the Heart Foundation where he managed their clinical program unit and the National Aboriginal health unit. "No other organisation can say they have helped to create extended-wear contact lenses, created a vaccine for the Hendra virus, run Australia’s largest clinical telehealth trial, and created the first drug successful in treating flu," said Dr Grenfell. "This makes CSIRO a unique organisation and valuable partner for delivering science with great purpose. "This is a once in lifetime opportunity to shape the future of health in Australia and to build on CSIRO's enviable track record for delivering technologies that enhance lives, add value to existing industries, and grow new industries," he said. As a practicing GP, Dr Grenfell maintained an isolated rural general practice in Natimuk (VIC) for 13 years until June 2011. He is a past member of the health advisory committee of the NHMRC (2002-2005) and is the past Chair of General Practice Victoria. He is also a Fellow of the Australasian Faculty of Public Health Medicine and holds a Bachelor of Medicine and Bachelor of Surgery from Monash University. Dr Rob Grenfell, the new Director of Health and Biosecurity at CSIRO. From apps to 3D printing, global epidemics to preventative wellbeing, our work in health makes a difference to industry, people and the planet.